one of my favorite parts of summer is grilling dinner outdoors. not only does grilled food taste so delicious it also saves me some major clean up in the kitchen. last night I sent Ryan out to the grills with some salmon and tongs in hand. while the grill master was doing his thing I prepped the rest of the meal. I kept our sides simple and healthy and sliced up some cucumbers and tomatoes and then seasoned them with some salt and pepper and a drizzle of olive oil. I figured we needed a little something else so I sauteed some baby spinach with some olive oil. 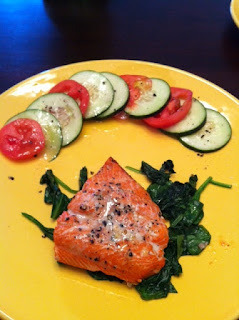 once the salmon was grilled I squeezed some fresh lime juice on top to complement the already used salt and pepper. simple ingredients for this meal but big taste overall. today I decided to channel my inner Blair Waldorf (Gossip Girl reference) and rock a headband to work. I rarely take the time to get dressed up for work anymore so I decided that today would be the day to spruce up my look. 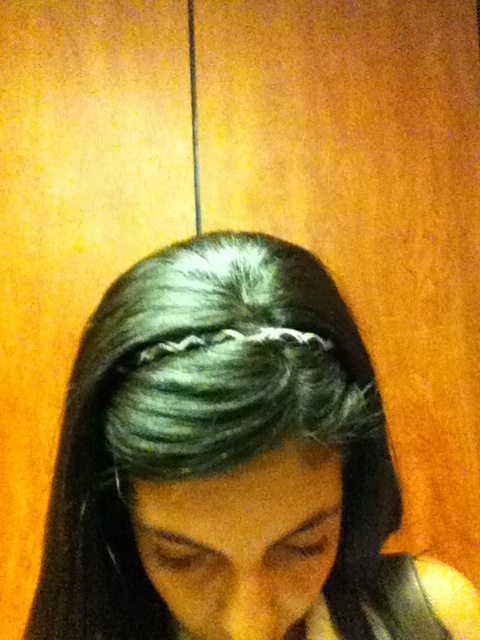 I'm terrible at taking self portraits ... especially when I'm in the moving elevator at my apartment. 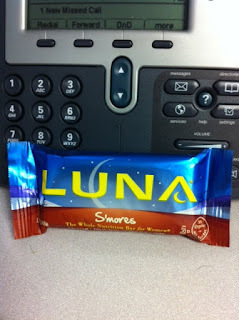 I enjoyed a green monster on my walk to the office (sorry no picture) and packed a Luna bar as my afternoon snack. yesterday the rain clouds covered Charlotte and Ryan and I missed our Tuesday night meetup run. Instead of running we went to Hawthorne's for some pizza. Although cheeseburgers will always be my favorite food, pizza comes in at a close second. Since I start work today at noon I knew I had plenty of time to get a run in beforehand so I wasn't too upset about missing our run last night and subbing a large pizza in its place. 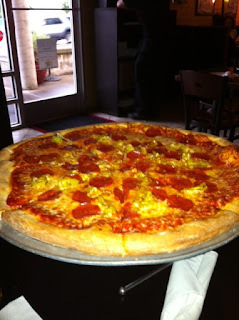 At Hawthorne's we ordered our usual 1/2 dozen order of garlic knots and 18" pepperoni pizza. I had forgotten my ID at home (I tend to go wallet-less to dinner with Ryan since he usually pays) and had to fore go a cold beer. We were pleasantly surprised when we asked our server if they could put pepperoncinis on our pizza along with the pepperoni ... back in downtown Orlando there was a pizza place, Metro Espresso, that had a "pizza picante" which featured pepperoni and sliced pepperoncinis. Our server said that wouldn't be a problem. Score! We even had a $5 off coupon for our order so all-in-all our experience at Hawthrone's was another stellar one. This morning Ryan and I headed out to the same course that we usually run on Tuesday nights, the booty loop. We finished the 5.1 miles in 40:05 minutes. The first 2 miles were sluggish; we were running 8:15-8:30 min/miles. We kicked it into gear towards the end and finished the run with an average 7:51 min/mile pace. 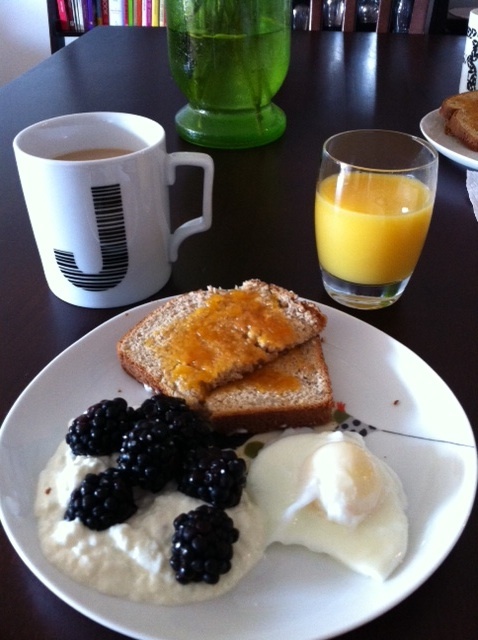 Not too bad for a Wednesday morning. Once at home it was time to feed our hungry bellies. Ryan made some coffee and poured the orange juice (isn't he handy in the kitchen) and I topped some cottage cheese with fresh blackberries (from yesterday's farmers market), toasted a slice of wheat bread and spread a thin layer of apricot jam, and poached a couple of eggs (1 for each of us). 2 hours left before I head into the office. time to finish up some laundry and catch up on some blogs. see you this afternoon! I met my friend Heather today for lunch in uptown. As we were walking to our restaurant of choice (RiRa Sandwich bar) we passed by a farmers market on the corner of Tryon and Trade (2 of the main streets in uptown). 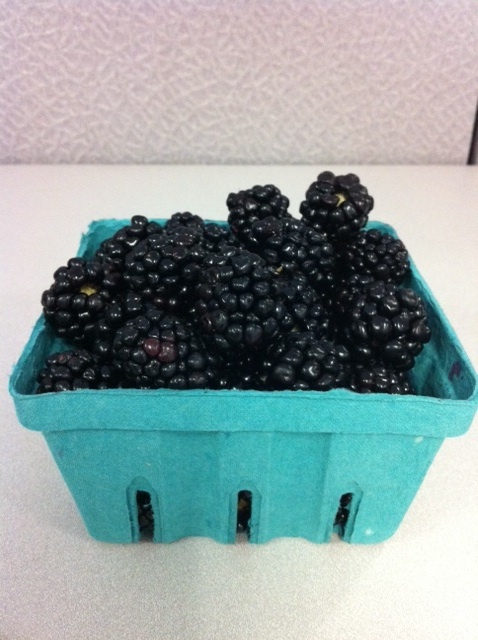 The first thing that caught my eye were some amazing blackberries for sale. We made it a point to hit up the ATM once we were done with lunch and head back towards the fruit/vegetable stand. Well I did it ... 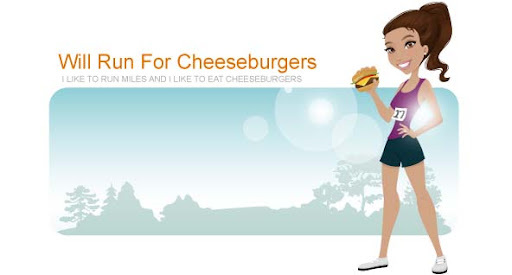 I signed up for the Rock n Roll half marathon in Savannah, GA on November 5th. There is officially no turning back. I'm excited to run my 2nd half marathon, and even MORE excited to help Ryan train for his 1st half marathon. It'll be a lot easier training with a running buddy this time around. We won't start training for the half marathon for another 2 months or so but figured it was a good idea to start thinking about a training schedule.